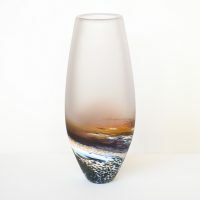 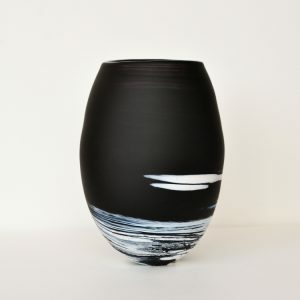 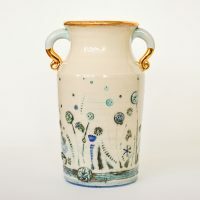 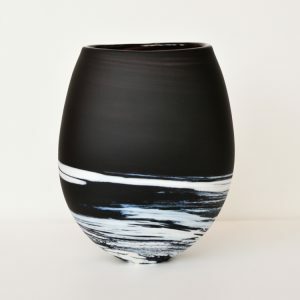 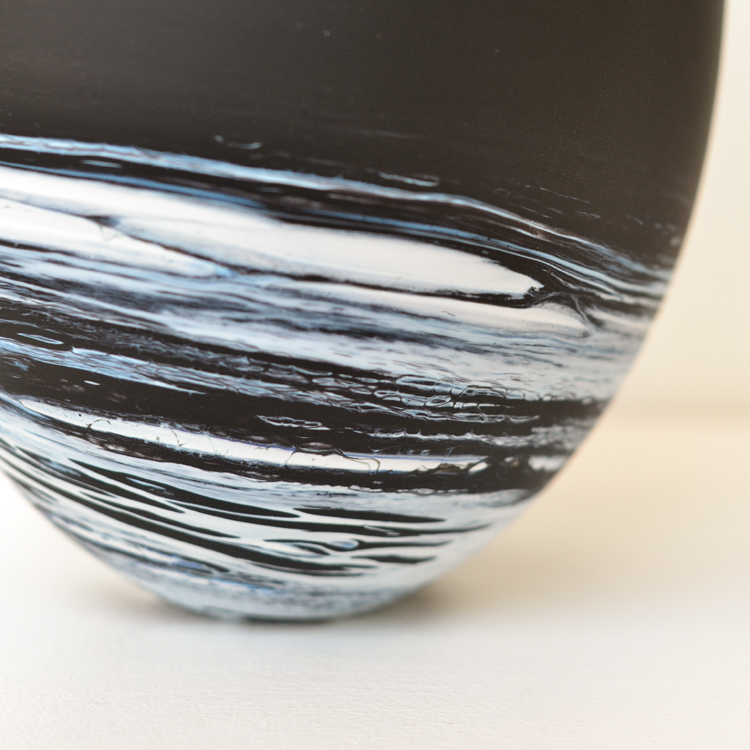 A sea and rockpool inspired oval vase with a combination of matt black and white infused colouring outside. 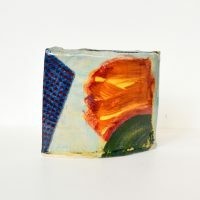 The inside is smooth with a hint of purple in contrast to the outer surface. 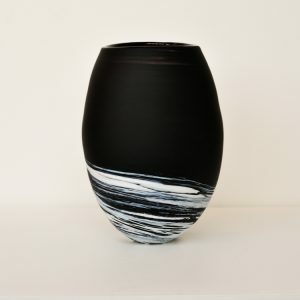 Material: Black & White Matt Glass.